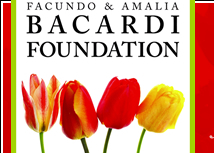 Welcome to the Facundo and Amalia Bacardi Foundation, Inc. The Facundo and Amalia Bacardi Foundation was established on August 5, 2005 to honor the memory and ideals of Rum Pioneer Don Facundo Bacardi and his wife, Dona Amalia, on the anniversary of their marriage in 1843 to further the philanthropic giving of their descendents. As a result of the rise of communism in Cuba and the expropriation of all real and personal property from its citizens, many Cubans were forced to leave their homeland and begin their lives in other countries. While Don Facundo and Amalia’s descendents immigrated to many countries throughout the Caribbean, Latin American and Europe, half of these descendents immigrated to the United States with many restarting their lives in the State of Florida close to their island home. Florida has helped foster the well being of the Bacardi Family members and has provided many opportunities to restart their lives during the difficult and challenging early days in this country. As the Family grew in population and as the Company founded by Don Facundo Bacardi became more successful, the Bacardi family has always had a genuine and sincere appreciation and heartfelt gratitude to the United States and the State of Florida for the privilege given to immigrants to come, live and work in a free and democratic country where a multitude of opportunities were available to anyone who wanted a better place for their family or to pursue a dream. The Facundo and Amalia Bacardi Foundation seeks to help meet the societal needs of the citizens of the State of Florida through its philanthropic giving.